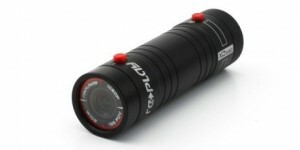 BEST OF CES 2013-REPLAYXD AND THEIR EXCITING HD CAMERA’S A PREVIEW!! While I was at CES 2013, I spent 3 days trying to find products that really impressed me in their quality and design. I really liked ReplayXD’s products!! Here is a second video of their products in action!! So far I am very impressed by the company, their people and their products. I am looking forward to testing and reviewing their products for real. Be the first to comment on "BEST OF CES 2013-REPLAYXD AND THEIR EXCITING HD CAMERA’S A PREVIEW!!"